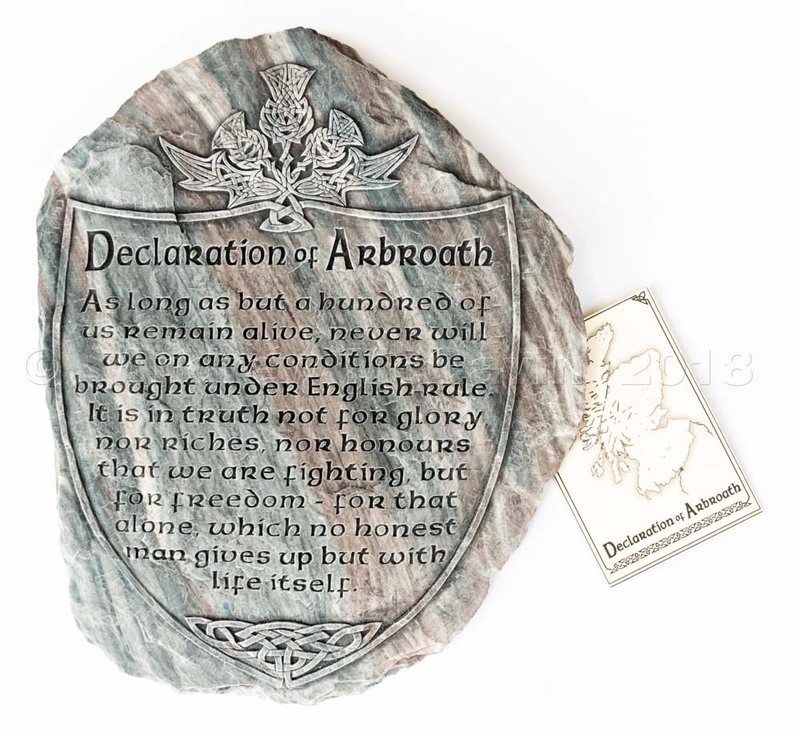 This Wall Plaque features the best known passage from the historic Declaration of Arbroath. The Declaration of Arbroath was written in 1320 following the Scottish victory at Banannockburn as a plea for the recognition of Scotland as a sovereign nation. This wall plaque combines Celtic design as the recognition of Scotland's unique national identity and culture, the Thistle as the symbol of Scotland's defiantly independant spirit, and the historical significance of the Declaration of Arbroath.